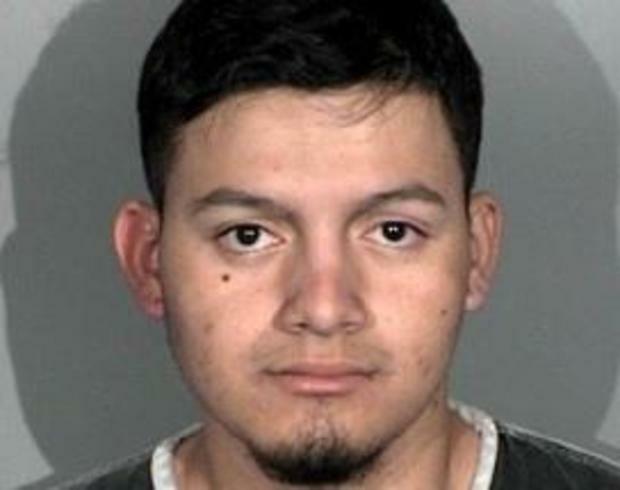 The authorities investigating four recent murders in the northern part of Nevada say that murder charges are pending against a man who is suspected to be in the U.S. illegally. The suspect, 19-year-old, Wilbur Martinez-Guzman, was arrested Saturday in Carson City and is being held on possession of stolen property, burglary and immigration charges. Authorities wish to file charges against him in the coming days for the deaths of an elderly couple in Reno, and two women from Gardnerville. The Sheriff of Washoe County said that he believed that there are no more suspects. In this investigation, many different agencies like the investigators, patrol, forensic science, volunteers, dispatch, local, state and federal law enforcement collaborated and worked tirelessly. The suspect is believed to have lived in Carson City for about a year. It is unclear where Martinez is from. Authorities say, Connie Koontz, 56, was found dead January 10 in her home in Gardnerville Ranchos, about 15 miles south of Carson City. Three days later, 74-year-old Sophia Renken was found dead in her home about a mile from where Koontz lived. On Wednesday, the bodies of 81-year-old Gerald David, and his 80-year-old wife, Sharon, were found in their home on the southern edge of Reno, about 20 miles north of Carson City. The Sherriff says that it is too soon to comment on the motive as the investigation was still on. In this case, there is a lot left to be discovered. The country which Martinez originates from is unknown. It is not clear how he managed to get into the United States. Thus, we also do not know anything about crimes he may have committed in his home country. The criminal organization, if any, which he belongs to, is also unknown. The motive behind the murders and other crimes committed by the 19-year old boy is unclear. The investigators need a method with which they can reliably screen Martinez. If they were able to find out if Martinez knows confidential details about the murders, then its likely that he is the culprit. But conventional investigation methods like polygraph tests are not foolproof. Also, they are unreliable as a test conducted on a person by two different polygraphists may yield different results. Brainwave Science, a Massachusetts based company has introduced a scientific method to address all the problems listed above. It’s a technology called iCognative. It speeds up intelligence gathering for a number of agencies like national security, immigration, border control, counter-terrorism, law enforcement, and human and drug trafficking. The hardware used is extremely portable and can be used by a single test administrator. The specialized wireless headset is worn by the test subject and records the brainwave responses of the test subject when he or she is made to look at stimuli on the computer screen. The computer then reads these responses and computes a result. The stimuli comprise pictures, words, and phrases related to the crime under investigation. The real criminal will definitely have planned and plotted the whole crime many times. He or she knows intricate details about it. In this case, Martinez may have done some recce of all his victims, their daily routines, their place of work, their shopping habits, their residence in order to plan to rob them and murdering them. If Martinez is indeed the culprit and is made to look at the stimuli containing such details, and in addition to that pictures and details of the crime scene which are not released into the public, then his brain response will indicate that ‘information is present’, otherwise, the iCognative software will indicate that ‘information is absent’. Thus, after a quick iCognative test, the police can be assured that they are proceeding in the right direction when they say that Martinez is a suspect and that he is the only one. Moreover, stimuli related to known trafficking routes for illegal immigrants, known ghettos of illegal immigrants can be used to understand how Martinez entered the country and where he stayed. By using stimuli related to common source-countries, the home country of Martinez can be known. iCognative is a revolutionary tool which has changed the entire forensics and investigation world upside down. Now the ball can always be in the investigator’s court.